The bestselling fantasy series from one of the biggest names in the genre comes to an unforgettable conclusion. This is the final volume of the epic Chronicles of Thomas Covenant - one of the keynote works of modern fantasy. Compelled step by step to actions whose consequences they could neither see nor prevent, Thomas Covenant and Linden Avery have fought for what they love in the magical reality known only as 'the Land'. Now they face their final crisis. Reunited after their separate struggles, they discover in each other their true power - and yet they cannot imagine how to stop the Worm of the World's End from unmaking Time. Nevertheless they must resist the ruin of all things, giving their last strength in the service of the world's continuance. 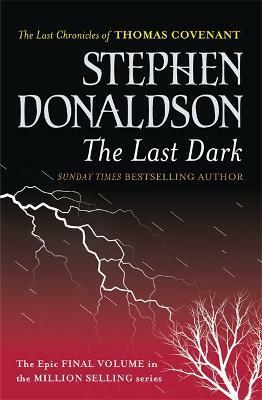 Stephen Donaldson has won the WORLD FANTASY and JOHN W. CAMPBELL AWARDs for his internationally bestselling fantasy novels. He has also written SF and mysteries. He lives in New Mexico.